Underactive Thyroid Depression: If an individual has an underactive thyroid, one may find himself down and out on most days. One may also be feeling a bit overwhelmed with loneliness and sadness. The reason behind this is that one may be suffering from hypothyroidism (underactive thyroid; inadequate thyroid hormones). Hypothyroidism can cause depression. Most people don’t realize that this feeling of depression caused by the thyroid gland not functioning as it should. 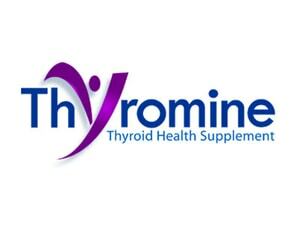 There are so many effects of lack of thyroid hormone production in the body that many people don’t realize. 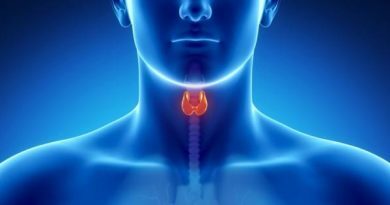 Since there are so many symptoms of hypothyroidism, people often fail to connect these little symptoms with their thyroid problem. Since most people are so engrossed with what they are feeling they don’t realize that they are already experiencing depression. If one finds life as no longer worth living, feeling hopeless and feels that things will no longer get better, one is already suffering from an underactive thyroid depression. Oftentimes, weight gain and an underactive thyroid is part of the problem. Some people lose their appetite due to depression while others gain appetite because of depression. Depression makes one feel so bad that all they would want to do is eat and sleep. People in this state unconsciously find solace from food and uses it to fill the void left by loneliness and sadness. Depression and anxiety are common symptoms of a thyroid disease. Doctors often prescribe antidepressants to patients experiencing emotional problems. A person diagnosed with a thyroid disease will surely experience emotional problems such as depression and anxiety. The reason to this is a thyroid problem therefore treatment is needed to see significant and visible improvements of the emotional symptoms. It is not wrong for doctors to prescribe antidepressants to patients with emotional problems. But if these emotional problems are due to a thyroid problem, it would be best to treat the thyroid problem first since anti-depressants alone would not resolve the thyroid problem. Thyroid depression symptoms may include feeling hopeless, lonely and sad. Some even feel things would no longer get better, loses appetite or gains appetite, feels life is no longer worth living. Thyroid problems also cause emotional and behavioral changes in one’s life. Not unless the thyroid problem is treated; depression, anxiety and other emotional problems will also continue to progress and may even worsen to the point that one may think he is already going crazy and starts to consult psychiatric help.